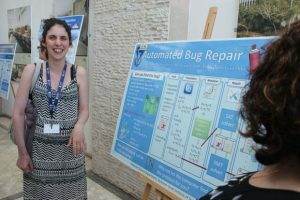 I am a Ph.D. student of Prof. Orna Grumberg at the Technion – Israel Institute of Technology, Israel. 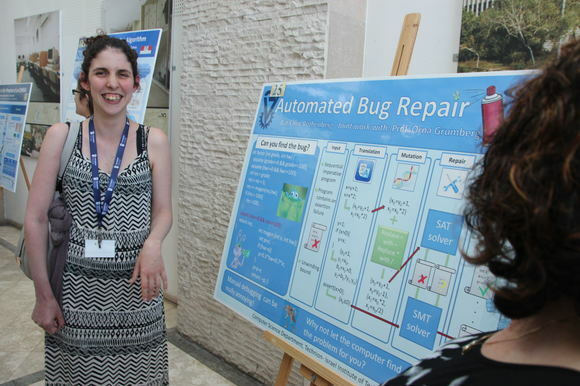 I graduated in 2013 from the Technion, Compuetr Science faculty, and have continued to M.SC. and finally Ph.D. studies, in the same faculty. I am happily married to Dani and I have one son, named Lior. We live in Kibbutz Beit Haemeq, in the northern side of Israel. Besides doing research, I enjoy acting, watching TV and eating stakes (especially those made by my husband). My main area of research is automated program repair. In my work, I focus on sematic-based repair, using formal specifications and formal methods. My vision is to devise repair tools that can be integrated into the work-flow of every programmer, without special effort. The methods and algorithms developed as part of my research are implmented in the open-source tool AllRepair. Other research interests of mine are programming languages, software synthesis and software model checking.